The SIRV2 virus can survive in inhospitable conditions, and may provide scientists with the key to a more effective delivery system for genetic therapies. According to a recent press release, researchers at the University of Virginia School of Medicine have unlocked the secrets of this strange virus that can survive in the most uninhabitable environments, including boiling acid. The robust virus may provide doctors with a blueprint for treating various human diseases with DNA therapy by encasing genetic material in a nearly impenetrable armor. The SIRV2 virus was observed infecting a microscopic organism known as Sulfolobus islandicus, which lives in extremely unusual conditions. The microbe is typically found in highly acidic hot springs with temperatures reaching nearly 175 degrees Fahrenheit. 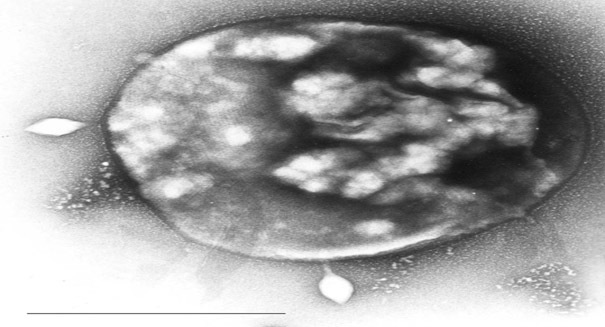 The SIRV2 virus exhibited remarkable similarities to the spores produced by bacteria living in similar environments. These spores are responsible for some of the rarest diseases with very few treatment options, like anthrax. The virus functions in a very similar manner to the proteins present in these bacterial spores, and researchers hope to harness their near-invincibility for good. SIRV2 forces its DNA into an A-form, a shape that allows it to survive in these highly acidic and hot conditions. A-form is only observed in the laboratory under harsh conditions, usually when DNA is completely dehydrated. The shape of the DNA allows the precious genetic information inside to remain safe in the face of the inhospitable environment. Using UVA’s powerful new Titan Krios electron microscope, scientists hope that they have identified a new way to protect DNA for targeted genetic therapies for rare diseases. Since the body’s immune system typically responds to foreign DNA by attacking and killing it, it is very difficult for scientists to insert helpful genes into a sick patient’s body. This SIRV2 virus could provide the gateway to a ‘super-armor’ that would drastically increase the efficacy of genetic therapy, and further studies on the virus are currently underway.